Flat and fast, the 50- and 100-mile courses follow the Hennepin Canal State Trail, Illinois’ longest multi-use trail, across historic locks and lift bridges, past the autumn corn, picturesque farms and postcard towns of northwest Illinois. It’s a race that engages you in something larger. Running the Hennepin Hundred benefits Trails for Illinois, the tiny non-profit that works to improve the Hennepin Canal State Trail and other non-motorized trails statewide. You are running to benefit the Illinois trails we love. This is the course to set a PR, finish your first 100 mile race, or go for a world record! 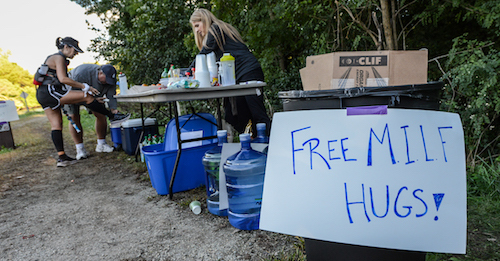 Take the opportunity to volunteer at aid stations!